Hanoi is a wonderful host and a great starting point for experiencing all the awesome things that Vietnam has to offer. When I visited last year and went to Hanoi and Ha Long Bay I instantly fell in love with the sights, tastes, and culture of the country and like the Terminator, swore I’d be back for a more thorough journey. If you’re a backpacker on a budget, a broke student, or a penny pinching wanderer, Vietnam is an ideal destination. Currently the exchange rate is 1 USD to 21,079 VND which means you become a multimillionaire at the exchange counter (yay to being rich!!). Now what will you spend all your Vietnamese dong on? Most meals cost about $3 per person and top-notch accommodation will cost you about $40 a night. Hostels and budget accommodations are also plentiful in this cheap traveler’s paradise. Souvenirs such as scarves and vintage propaganda posters start at about $5 (guilt free shopping sprees, anyone?). It was recently rated the second cheapest travel destination by TripAdvisor. Vietnamese food is healthy, delicious, and vegetarian friendly. I’m not an advocate of colonialism, but it seems that when Vietnam kicked France out, they did so after keeping the best chocolate, pastry, and dessert recipes for themselves. What’s left of French influence is implemented in the best ways possible: in the cuisine. Where else in the world can you feast on spring rolls and a bowl of pho and then finish yourself off with chocolate mousse and a croissant? Chances are you’ll get hooked on at least one (probably multiple) regional dishes, so take them home with you. Learning to cook traditional foods is the perfect no-pack souvenir (as a chronic over-packer, my suitcase was already stuffed). Cooking classes are abundantly available in restaurants and easy to enroll in. While I was there I took a cooking class in the top floor of The Orchid Restaurant and was entranced by the skills and precision of the chef as he taught us how to make the soups, sauces, appetizers, and entrees of our choice. I learned that I am a master spring roll wrapper – a talent I plan to showcase at every available opportunity. At the end of the lesson, the chef even busted out his special homemade (not to mention strong) red rice wine to wash down our meal. Hanoi is full of impressive architecture, history, and charm. 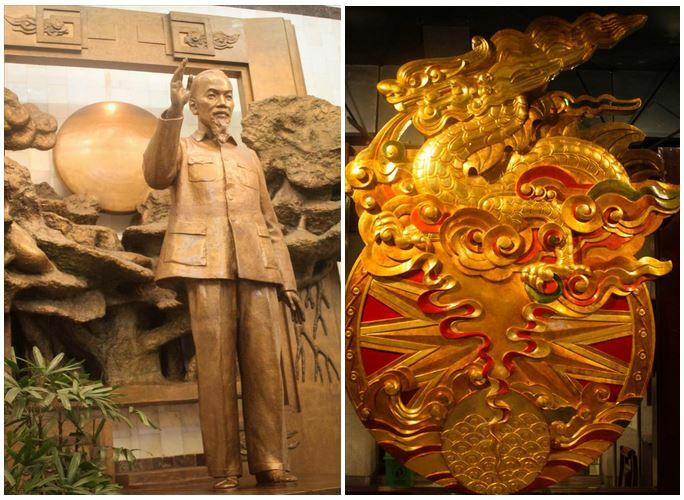 History buffs or even those with a casual interest will be fascinated by attractions such as the Ho Chi Minh Museum dedicated to telling Vietnam’s side of the War. Ho Chi Minh’s Mausoleum is also a must visit because who doesn’t have a little morbid curiosity in them? Vietnam’s beloved leader has been laying in state immaculately preserved since 1969 and looking better than I do most mornings. 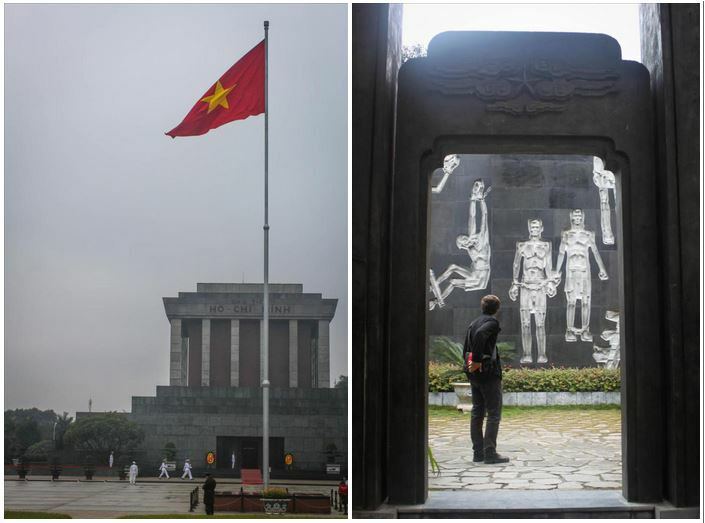 While you’ve still got your morbid curiosity going, you can pay a visit to the relic Hoa Lo Prison (aka the “Hanoi Hilton”) where POWs were held during the Vietnam War. Its oppressive walls are crowned with jagged shards of broken glass that loomed over prisoners and its dim halls whisper sad stories of the past. The museum exhibits tell a dark side of war in a powerful way with sculpture, art, and video. It’s a really impressive experience that makes visitors feel the gravity of war. For a lighter experience, one can stroll the streets of the Old Quarter to get a taste of vintage Vietnam and do some more shopping in the quaint colonial atmosphere. Another must-see is the beautiful One Pillar Pagoda surrounded by peaceful streams and vegetation. Its traditional architecture is charming and its roof curls up at the ends in traditional Asian flair. Go ahead and take a selfie here, I know you want to. Another peaceful spot is the Quoc Tu Giam. 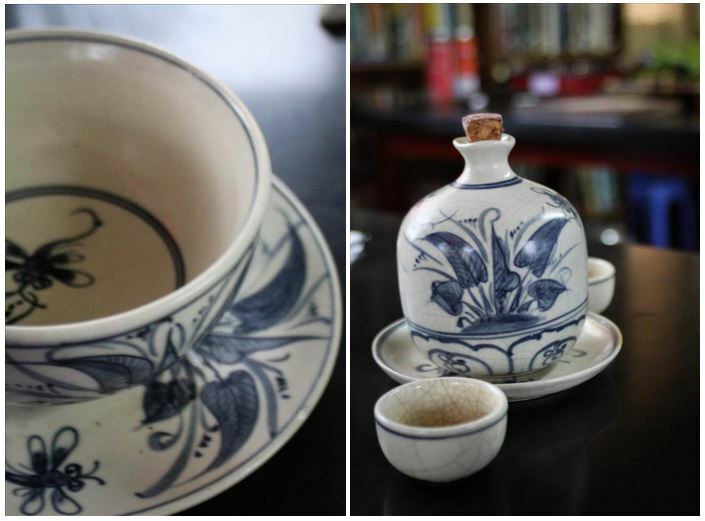 It’s a gorgeous step back into history at this Confucian place of worship dating back to 1070 when kings ruled. In my experience, the Vietnamese people were almost always beaming smiles and willing to help any lost and weary traveler. The hotel staff always asked about how our daily adventures had gone and were sure to set us on another for the next day with their recommendations, as if our previous adventure’s success entitled us to a level-up. People invited us to sit at their street stalls and try their specialty cuisine. I ended up sitting down to try a complimentary fried sea worm cake at a stall in the market. (I think it may have been a test to see if I was brave enough to try it, but I passed and was offered more!) It was delicious by the way. Day or night, Hanoi is hustling and bustling with life. During the day vendors are lined up on the streets displaying a spectrum of fruits, vegetables, and other wares – most of which a westerner won’t recognize. Here’s a game for the gambler: buy something that looks edible and eat it. You win if you like it. If you’re not the gambling type and want something you know is edible, you can take a stool at one of the curbside tables set up to cater to pedestrian cravings. They’re literally on almost every corner with portable kitchens and some really amazing chefs. When I go back I plan to do a cycling food tour led by my stomach’s whims as bicycles are now a rentable way to get around the city thanks to a new government tourism initiative. At night the lights of dessert shops glow and beckon you to come in and partake in deliciousness (just one more treat before bed, because you deserve it). If you resist, the glow of the chocolatiers windows you’ll find more temptations like having a tasty cocktail next to the lake while the city lights up. Near the lake at night you can watch the local people gather for tango classes, nightly jogs, and romantic strolls. A tango in the park class caught our eye and provided a soundtrack and awesome entertainment while watching the sunset. When it gets dark, the hidden nooks of the narrow streets come alive. If you haven’t eaten yourself into a food coma for the night you can head out to one of the many night clubs bumping electronic music. They serve well priced drinks and since that tango class got you inspired to rock your body you can bust a move and join the young hip locals who know how to have a good time. 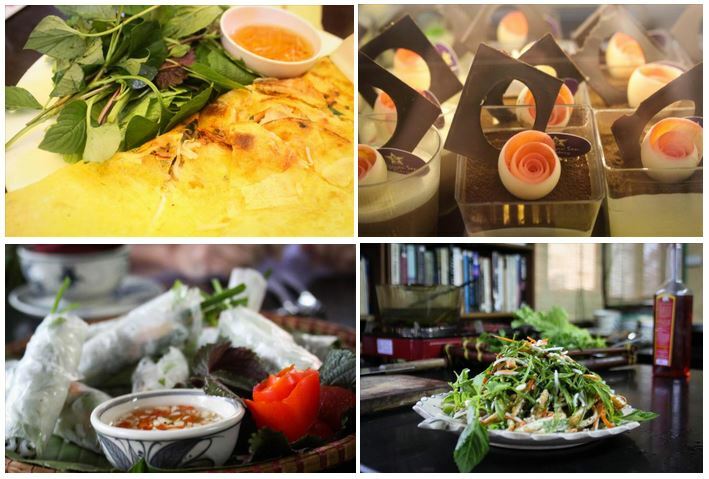 …and did I mention Vietnam is delicious?? I was in Hanoi perhaps 20 years ago and stayed at the Sofitel. The French-Asian fusion cuisine was excellent. Vintage Vietnam definitely appeals 🙂 Maybe not so much, the bustle. Many thanks for the follow. Happy travels!